Los Angeles is the quintessential summer hot spot, with beautiful scenery, diverse neighborhoods to explore, and little chance of rain to come along and ruin your plans. Just in case you’re too overwhelmed by the many things to do in La La Land this summer, here’s a guide for a select few attractions that are sure to make your summer sweeter. 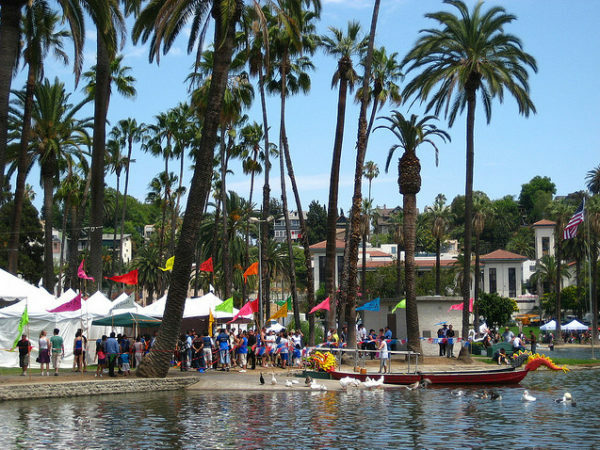 Each year at Echo Park Lake, Angelenos can partake in a celebration of Asian-American and Pacific Islander culture at the Lotus Festival. Enjoy traditional music and dance performances, arts and crafts, traditional food and drink, and dragon boat races. On the north side of the lake, you’ll be able to check out the freshly blooming lotuses for which the festival is named. This family-friendly event is free to the public, and takes place July 15th and 16th. 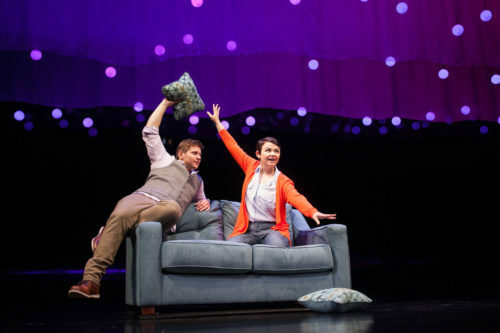 Ginnifer Goodwin and Allen Leach star in this unconventional romance about a beekeeper and a quantum physicist. Playwright Nick Payne weaves us through a story that poignantly explores the question of “what if?” and, according to The Hollywood Reporter, “compresses a lifetime of joy, anguish and alternate paths into a fleet, satisfying 80 minutes.” Constellations has just been extended through July 23, and you can get your tickets on TodayTix! The lure of an air-conditioned movie theater can be tempting, especially in the middle of a dry L.A. heatwave, but you can’t beat the experience of watching a classic movie in the great outdoors. 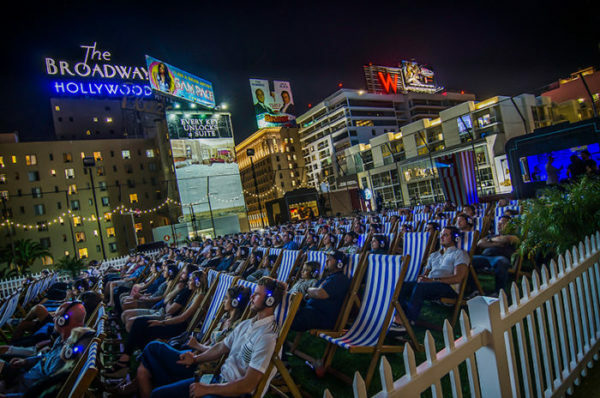 Street Food Cinema allows cinephiles to take in some good music and food truck fare while they watch their favorite films, or film junkies can take their obsession to new heights (literally) at the Rooftop Cinema Club. For an even less conventional movie-viewing experience, check out what Cinespia‘s playing next at Hollywood Forever Cemetery. Enjoy scenic views of Los Angeles at sunset for Barnsdall Art Park‘s Friday night wine tastings. Pair your Silverlake Wine with a packed picnic or food from on-site vendors such as The Cheese Store or Jeni’s Splendid Ice Cream. 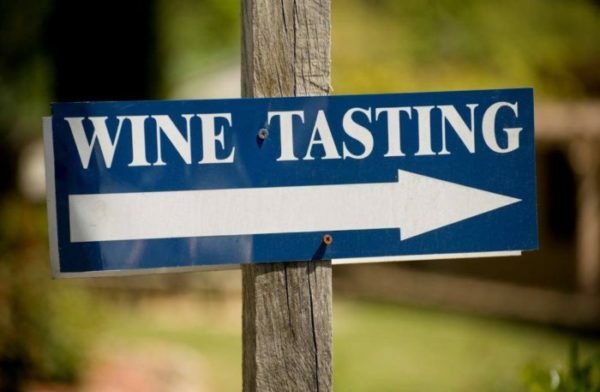 Running from June until September, tickets can be purchased for $30 for just a wine tasting, or $50 for a tasting and a tour of Frank Lloyd Wright’s Hollyhock House. Proceeds from ticket sales benefit art programs and historic renovations for the park. 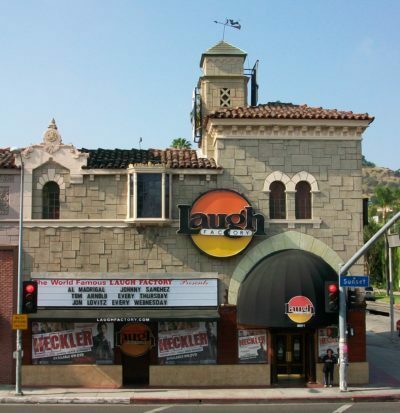 The Laugh Factory, a comedy institution since 1979, is the perfect place to catch a stand-up show from both legendary comedians and up-and-comers. With locations in Hollywood and Long Beach, you won’t have to go far to get your regular dosage of laughter. Their nightly shows, including All Star Comedy, Supply & Demand, and Midnight Madness, feature some of the best comedians working today, as well as special guests; you never know who might show up! Find your tickets on TodayTix to get your laugh on. If you live in Los Angeles (or even if you’re just a visitor), spending time at the beach this summer is pretty much a given. 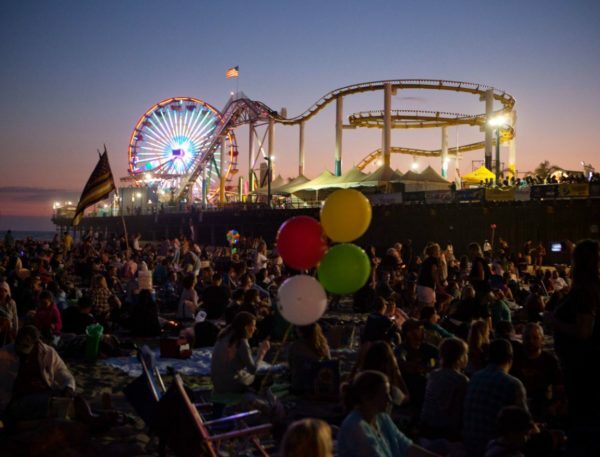 Twilight Concerts at the Santa Monica Pier make a trip to the beach all the more exciting with free concerts every Thursday from June 22nd to August 16th. There’s truly something for everyone to enjoy, with music genres including indie pop, Latin, and reggae, to name a few. Chances are you’ve already had your Instagram feed flooded with images of your friends taking a dip in the sprinkle pool and felt a serious case of FOMO. 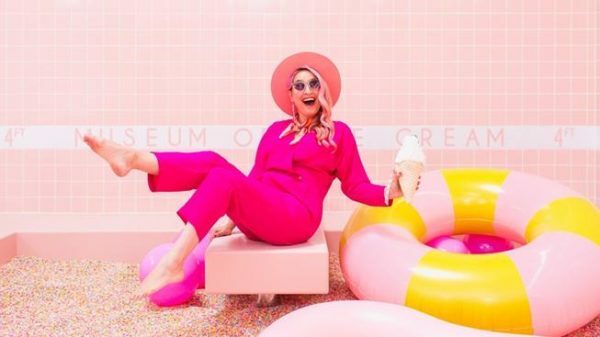 The Museum of Ice Cream, located in the Arts District downtown, has been a highly sought-after spot and tickets initially sold out in a flash. Well, try not to scream, but: this whimsical pop-up is releasing more tickets on 6/22 that will get you a designated time slot for the popular attraction from August to October. And, yes, you do receive two ice creams with admission. Test Your Balance with Yoga in the Park…Joined by Goats! 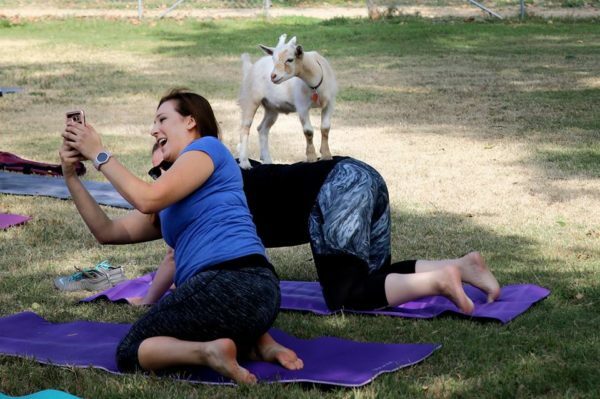 Practicing yoga with goats is a puzzling yet adorable trend that has been steadily popping up in cities across the US. After all, traditional yoga studios don’t tend to provide things like scenic views and cute farm animals for company. This summer, you can sign up for classes with Hello Critter every other Saturday in Bette Davis Park to practice your downward dog alongside some giddy goats. It wouldn’t be the 4th of July without a good old fashioned barbecue. If you’re lacking the grill skills or just want to sample some of the great traditional cookout foods that Los Angeles has to offer, check out Time Out LA’s Red, White, & BBQ. 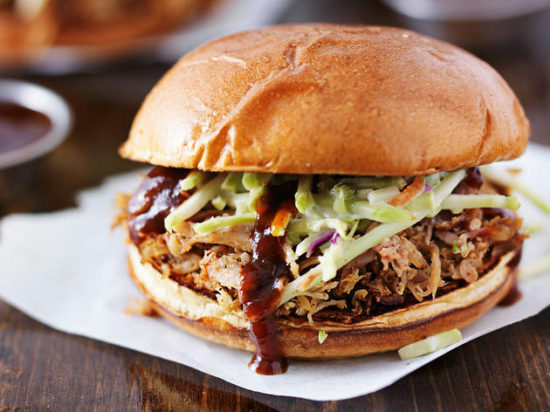 Tickets range from $20 to $35, and get you access to classic barbecue fare from participating vendors, as well as two drinks courtesy of Golden Road Brewing and Francis Ford Coppola Wines. Reserve your tickets here! With all there is to see at Laguna Beach’s Festival of Arts, Pageant of the Masters is perhaps its most well-known attraction, and for good reason. Pageant of the Masters presents art aficionados with incredibly faithful recreations of both classical and contemporary works of art, using real people in elaborate costumes to pose just like the subjects in the original pieces. This year’s theme is “The Grand Tour,” inspired by works of art from all over 17th and 18th century Europe. Each piece is accompanied by a professional orchestra and live narration, further transporting the audience into the world of the artwork. 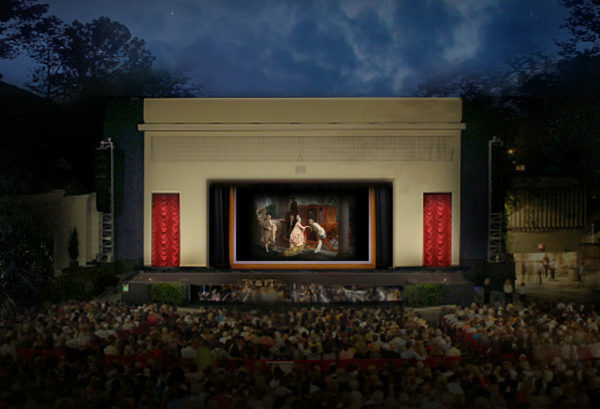 Pageant of the Masters runs from July 7th-August 31th, and you can find your tickets here! For more entertainment options this summer, check out the lineup of shows available on TodayTix!